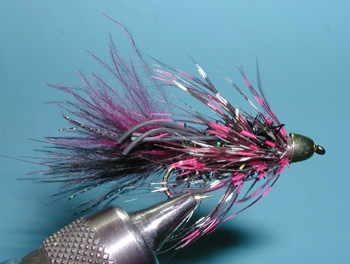 Notes: The Beldar Rubberleg Bugger is a twist on a traditional woolly bugger. 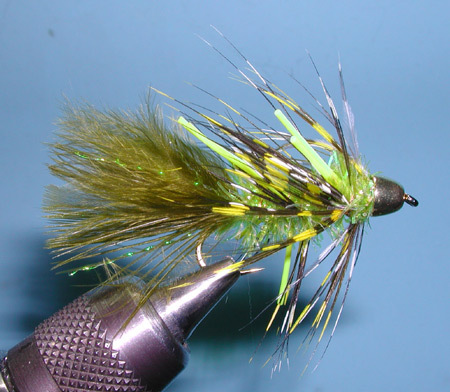 With the availability of coneheads, Solitude Fly Company came up with their version of a conehead Bugger, aptly named Beldar, in recognition of a popular Saturday Night Live skit that featured their own "Coneheads". 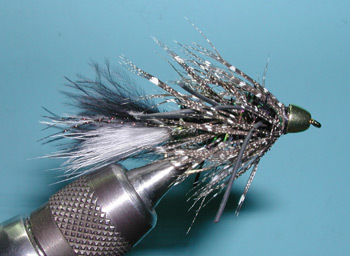 Fly Fishermen having a Gierachian humor streak quickly bought into the novel idea of replacing a bead with a cone. Solitude continued to morph the Beldar with rubberlegs, duo-tone marabou tails, a Crystal Chenille body, and dyed spotted Guinea Feathers. 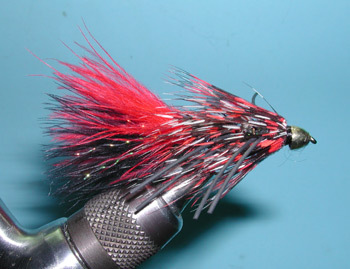 Despite it's gaudy appearance, the Beldar Rubberleg Bugger has found good success within our Western waters. 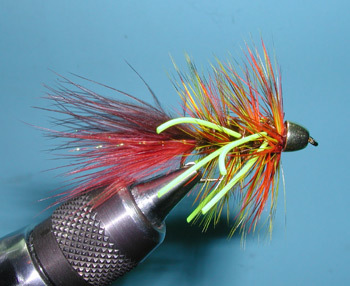 Many Guide reports recommend the Beldar as a preferred streamer pattern. 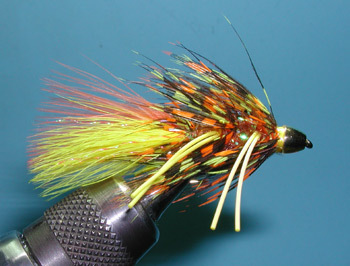 The rubberlegs provide plenty of action and the dyed Guinea Feathers give a mottled appearance to the body that has been a proven attractor element. The Beldar has morphed into a bugger pattern that is much more than a conehead transplant.